When the HTC announced the One, many people were impressed by the craftsmanship that went into making the smartphone and its cool aluminum look. So imagine how much more impressive the phone would look like if it was literally covered in gold. That's exactly the thought that crossed the minds of the jewelry experts from Goldgenie, who have done a premium edition of the popular smartphone. 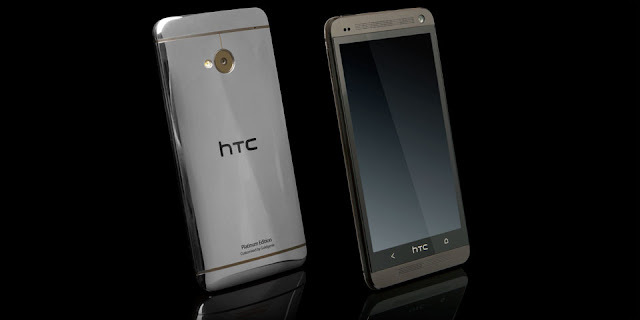 The HTC One is now available with 24-carat gold plating, and, as expected, isn't what you'd call affordable. Not that the rest of the recent Goldgenie makeovers are. The 24-carat gold edition of the 32GB HTC One costs £1895. If you want it to be finished in Rose gold the price goes up a hundred quid to £1995 and the Platinum edition goes for £2095. Goldgenie provides a cool, customized gift box.